Stop Kiss is selling out! Get your tickets before they’re gone! 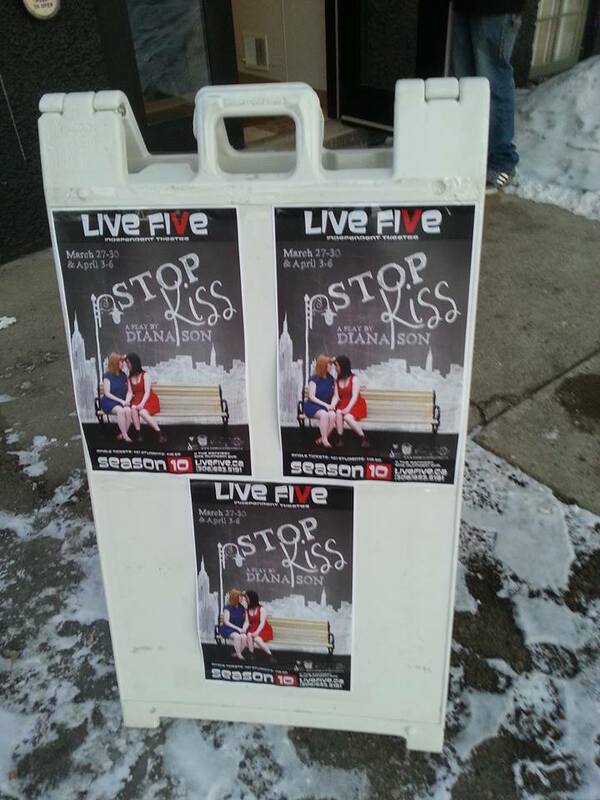 Stop Kiss by Diana Son sold out its opening night on March 28th! Unfortunately, some people had to be turned away at the door. Make sure to buy your tickets here before the rest of the run sells out. This entry was posted in theatre, yxe, yxe theatre and tagged live five, opening night, Saskatoon, sellout, theatre, tickets, yxe by charlieandrewpeters. Bookmark the permalink.